I've been reminiscing lately about some childhood reading and wondering why I don't hear more about the children's classics that I remember reading in my childhood. 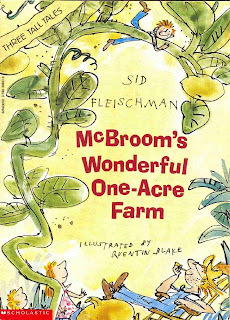 As an elementary student I read well ahead of my grade level, but I still enjoyed children's books - and do to this day. So here are a few of the books I'd consider classics that I read as a child but don't see getting much attention today. This series is about a remarkable woman who knows everything about children and how to cure them of any nasty habits. For example, a little girl who doesn't want to wash goes to stay with Mrs. Piggle-Wiggle and starts growing radishes from her ears. 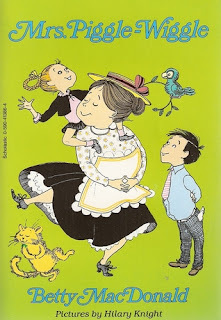 The stories all follow the same basic format and as a child I LOVED reading about the hilarious ways Mrs. Piggle-Wiggle taught children how to behave. there is a TV series for children based on the books that you can watch free at Hulu by clicking here. 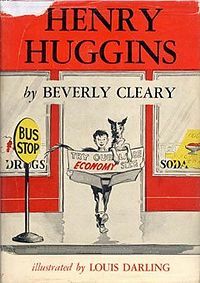 It's not that I think Beverly Cleary doesn't get enough attention, and it's not that the amazing Ramona series doesn't deserve lots of attention, but I feel like Henry Huggins gets left out quite a bit. The Henry series actually intersects with the Ramona series, as Beezus and Henry are the same age and live in the same neighborhood. in the first book, Henry finds the perfect dog, Ribsy, and the rest of the series tells stories of their escapades. 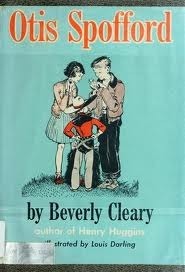 Honorable mention for overlooked Beverly Cleary books that I fell in love with goes to Otis Spofford. 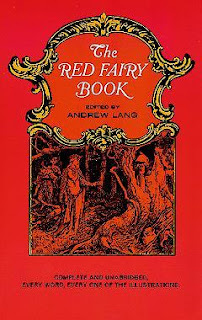 While I recommend starting with The Red Fairy Book, it really doesn't matter how you start - there are various fairy books (Blue, Green, Yellow, Pink, Brown, etc) to keep you occupied with fairy tales from every culture and society you can think of. They were written in the late 1800s, but in a way that I could understand and enjoy even at a young age. And the best part? They are in the public domain. You can download them to an ereader or read them online for free at Project Gutenberg by clicking here. The Burgess Stories by Thomas W. Burgess. 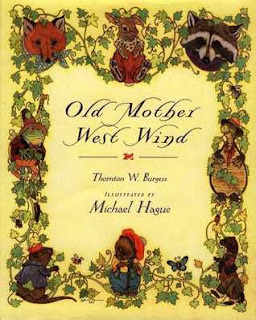 The Burgess Stories, beginning with Old Mother West Wind, were my jam when I was a child. I read them over and over and over. They're collections of short stories that focus on Mother West Wind and her Merry Little Breezes as well as the animals in the forest. They're something like Rudyard Kipling's just-so stories or the Uncle Remus stories, but with more of a "respect for nature" than "teaching a moral" bent. These are also available for free via Project Gutenberg by clicking here. McBroom's stories all revolve around his miraculous one-acre farm. Actually, it's 80 acres, but they're all stacked on top of each other. The soil, however, is exception and McBroom quickly learns that he can grow the most exceptional crops - including planting nickels and harvesting quarters. They're silly and fun and I am as delighted by them now as I was as a child. And, as an adult, I can appreciate children's books that are silly and crazy without resorting to farts or underwear to make kids laugh. With the exception of the Burgess Stories and The Fairy Series, all of these books are available through Scholastic, so you may want to take a look and find them in the catalog next time your kid brings home an order! Or check them out online or at your library or book store! Any overlooked children's classics you'd like to share? I don't know if it is a classic, but I enjoyed the Shy Stegosaurus of Cricket Creek as a kid. It was reprinted a few years back. Thanks for the tip on kid's books. I was discussing with my wife last night about some new books for my younger daughter--I asked about Pippi Longstocking. But I think your suggestion of the Red Fairy Book is a good option. I can't believe I forgot to include Pippi Longstocking! It's a great one - and my brothers loved it too. Mrs. Piggle Wiggle!!!! I LOVED those books!